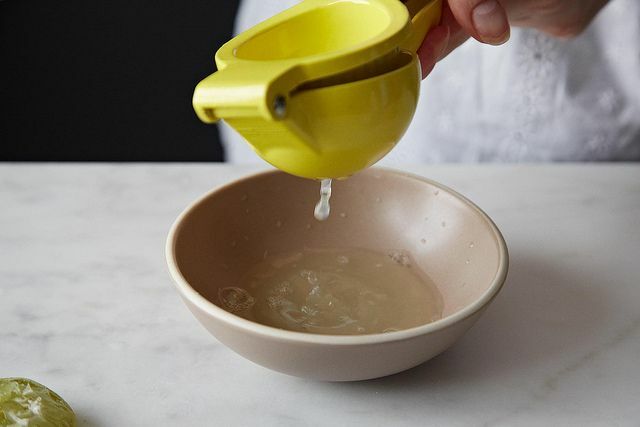 Today: Merrill reimagines the classic tequila cocktail, the Paloma -- brought to you by Patrón Tequila. Sign up now for a chance to dine at the next Patrón Secret Dining Society. No, this isn't really a Paloma. 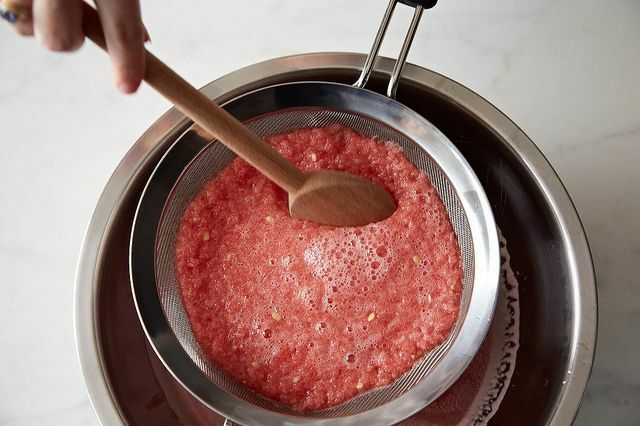 It's missing the one key ingredient (grapefruit) that distinguishes a Paloma from most other tequila cocktails -- and instead calls on watermelon, that quintessential American summer treat, to do fruit duty. But the word Paloma is so lovely (in case you didn't know, it means "dove" in Spanish) I couldn't resist borrowing it. Plus, the whole point of a Paloma is to be refreshing, which this drink certainly is. So I thought maybe I could get away with it. 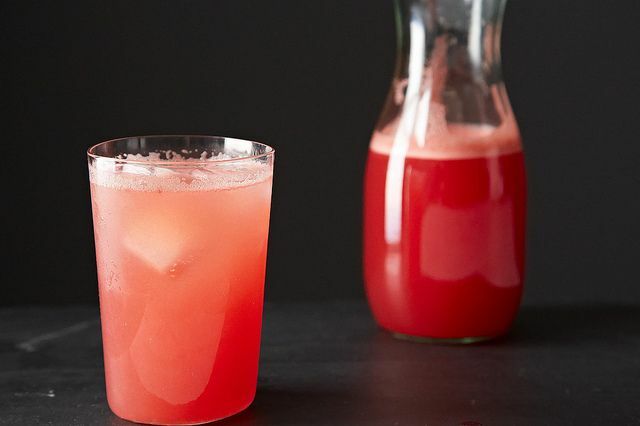 In order to make this Paloma imposter, you'll need to start with fresh watermelon juice. 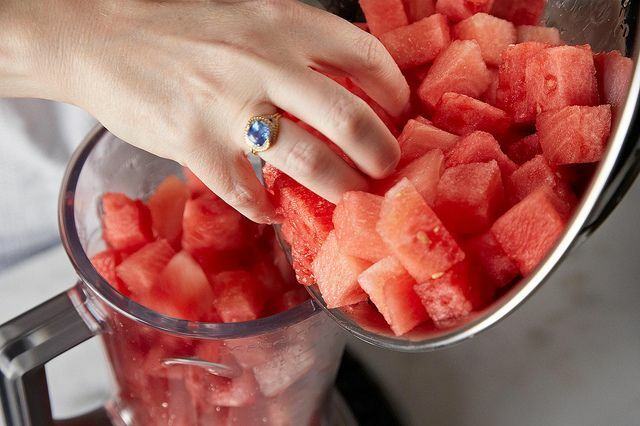 If you have a blender or a food processor, it's just as easy to make a lot as it is to make a little; I recommend buying a whole (small) watermelon and whizzing up the entire thing in a couple of batches. You'll have beautiful pink juice in your fridge for the week, which you can drink on its own or use in any number of other ways. More: Use your leftover watermelon juice to make this watermelon lemonade. Want a chance to experience creative cocktails like this and a 4-course dinner prepared by a celebrated chef? The next Patrón Secret Dining Society is right around the corner. Sign up now for a chance to join the fun. 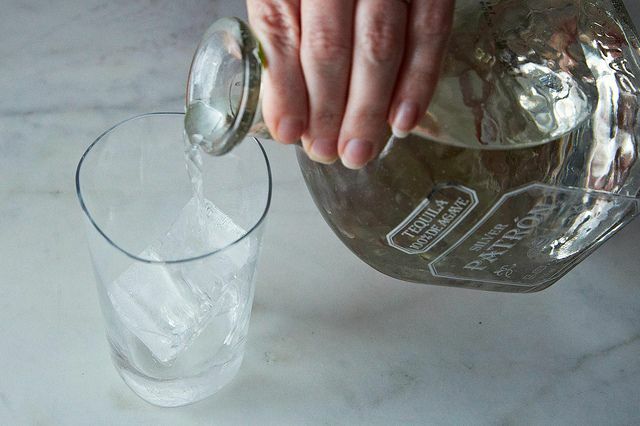 This article was brought to you by Patrón Tequila.